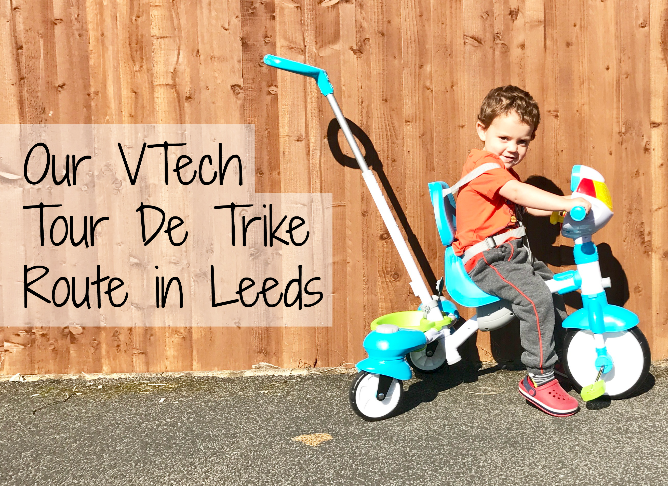 We were asked to go out on out adventures, using the VTech 5 in 1 Stroll and Grow Trike and then relay the route we took, in our favourite Yorkshire place, so VTech could create our Tour De Trike Route. 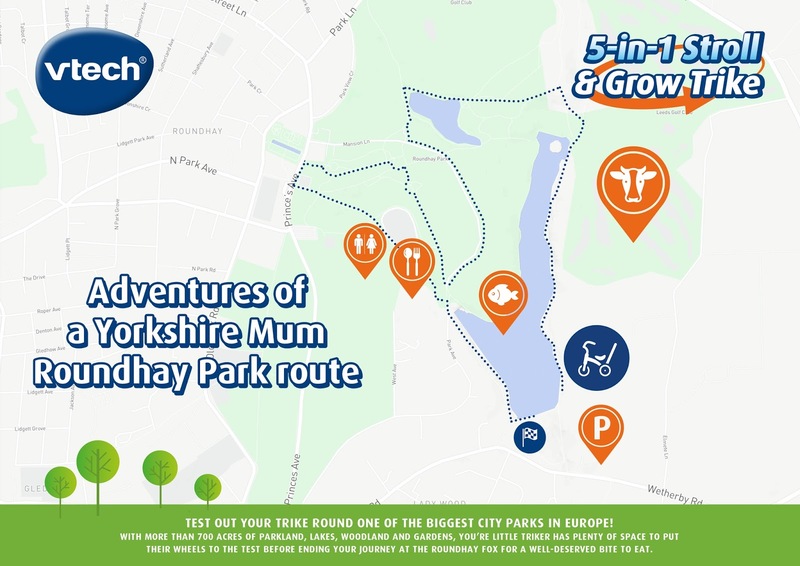 As someone who fairly regularly travels around West Yorkshire and loves exploring parks, we knew that Roundhay Park in Leeds would be suitable for our route. Roundhay Park is one of the biggest city parks in Europe. It has more than 700 acres of parkland, lakes, woodland and gardens. As well as the walks and parks, there is also Tropical World there too which is one of the UK's most popular garden tourist attractions and home to the largest collection of tropical plants outside Kew Gardens. The park has so many beautiful sights and is the perfect place to go for a walk with the trike. The trike has the option of fixed front or swivel wheels so is perfect for any different terrains you are on. I found that locking the drifting rear wheels helped over more uneven ground and cobbles. J loved to electronic panel and was singing along with it as we walked as well as pointing out things and people it was talking about. What I like about the trike is that, even though there are the 5 stages, you can alter these to fit your child and their needs. Most of the time we used the fixed front wheel with the drifting wheels enabled so that it was easy for me to push around bends but what I also like was that I could click the pedals off so that J could still use them, but they weren't constantly spinning. Hahrrr I love this and is so cool. That looks like a great piece of kit, and the route sounds wonderful! Not been to Roundhay in years..need to take my little one. This Trike looks fab for my 14 month old to grow into. Great post, thanks! What a great investment apart from the wonderful fun and exercise. I like toys and gear like this that last for years rather than months. It looks like a great bike! I've been to Roundhay Park for concerts, but never actually thought of going there just for a day out! Great idea, thanks!